Clint Eastwood has been headlining movies for years and has been in the motion picture business for even longer. To celebrate his illustrious career, Warner Bros. Home Entertainment is putting together one Blu-ray and one DVD set of some of Eastwood’s favorites. Never shy about their hopes the company noted in the release that the Clint Eastwood 40 Film Collection DVD and the Clint Eastwood 20 Film Collection Blu-ray will be available for purchase beginning on June 4, “just in time” for Father’s Day. The sets come with some older Eastwood classics, as well as a few newer movies like Gran Torino and The Trouble with the Curve. The set should give fans a pretty comprehensive look at Eastwood’s life on film, which spans decades and covers a successful acting, producing and directing career. Unfortunately, in order to get the extensive DVD set or that sweet Blu-ray set with that sleek grayscale packaging, it’s going to cost a pretty penny. 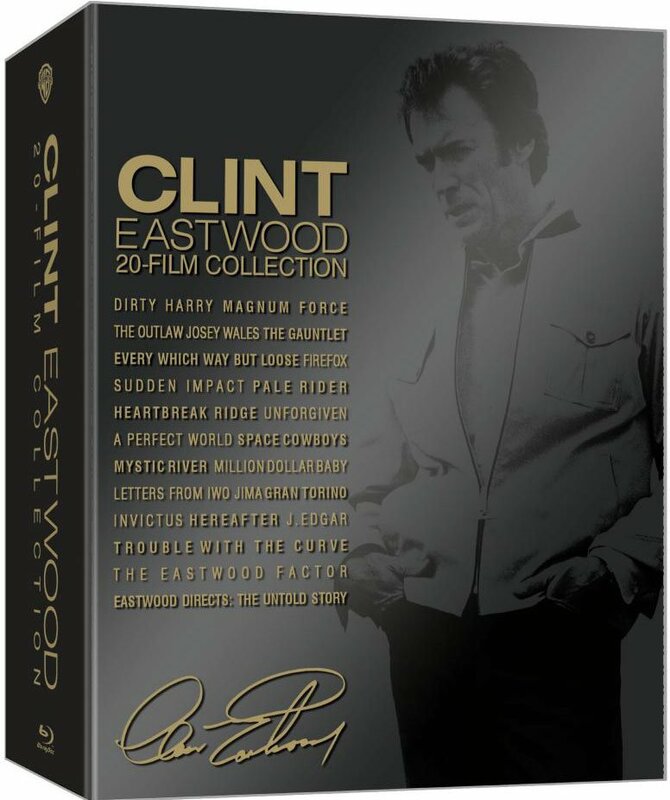 The Clint Eastwood 40 Film Collection will run for $279.98 and the Clint Eastwood 20 Film Collection is currently listed at $129.95. Both the DVD set and Blu-ray set are available for pre-order on Amazon, and you can catch the latter for under a hundred bucks right now through the retailer. There are no new bonus features available with the set, but there is a brand new documentary from Richard Schickel called “Eastwood Directs: The Untold Story. The documentary sounds decent, with some of Eastwood’s peers, co-workers and friends discussing his vision as a director, which sounds a little bit better than the reality show his family planned. If you don’t want to shell out for one of these giant sets to see the documentary, it will be aired on TCM on May 30 at 8 p.m. ET. You can check out the full list of flicks in the 40 Film Collection, below. Any films that are also available in the 20 Film Collection are denoted by an asterisk*.